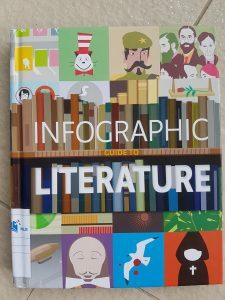 I found a fun book in the library this week—The Infographic Guide to Literature by Joanna Eliot . 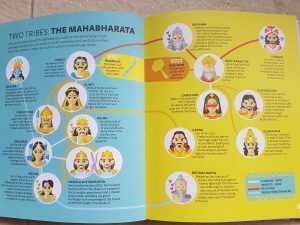 And this—that’s helping me work out who’s who and doing what in the Mahabharata! Writing: Started the next pass of Betel Red. I think/ really really really hope I’ll be ready to send it in to my agent after this pass. 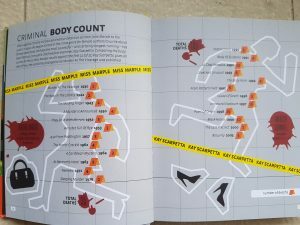 And I Really want to finish this draft before mid March so I can take a whole week off to enjoy Left Coast Crime! And I’m trying to finish outlining the next book before I go, to give my head something to work on while I’m playing and picking up loads of new books by new-to-me writers.